Which Home Improvements Give You the Best Return on Investment (ROI)? | Omaha, NE Real Estate Agents The Bill Black Team Video Blog Omaha, NE Real Estate Agents The Bill Black Team Video Blog: Which Home Improvements Give You the Best Return on Investment (ROI)? Which Home Improvements Give You the Best Return on Investment (ROI)? Below I provide you with the best home improvements to make in terms of their Return on Investment (ROI). Choose the ones that best fit your situation and your budget! 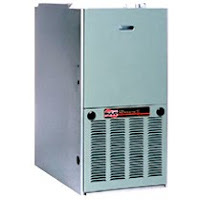 The ROI on furnace replacement can reach as high as 100%. How can that be? Well, of course, it depends on how long you keep the house before you sell it. In the first year, the ROI of a new furnace may be only around 10%. However, consider that a new furnace adds to the resale value of your home and makes your home very attractive to potential buyers. And, then, if you look at the money saved in utility bills over, say, a five-to-ten year period, well, then you’ll be hitting that ROI of 100%! Amazingly, a new coat of paint on the exterior of your home can give you an ROI of 90%. Dollar for dollar, it’s one of the most cost-effective home improvement projects you can undertake! Depending on the quality of exterior paint, it can cost you anywhere from $25 to $50 a gallon. To give you an idea of the overall costs, the average 3,000-square-foot home takes about 15 gallons of paint. So, you may pay anywhere from around $375 to $1,500. Looking at the interior, you’ll likely pay anywhere from $12.00 to $50 a gallon, again depending on the quality of the paint. Plus, of course, you have the cost of rollers, brushes, drop cloths, etc. If you do the work yourself, it’ll likely cost you around $300.00. If you hire a professional, double the cost. In either case, you’ll end up with an ROI of around 75%. If appropriate, siding is a great place to start your home improvement projects. It has an ROI of around 88%. Nearly everyone loves vinyl siding for two reasons – it’s low maintenance and has great durability. Plus, of course, the shiny appearance adds the perception of increased value in the eyes of potential buyers. And you have two options for putting it on. If you have the time and talent, you can do it yourself for around $1.00 per square foot! If you have neither the time nor the talent, then it’s time to call in a professional. Depending on your area and the size of your home, the job may cost you around $7.00 per square foot and anywhere from $3,000 to $12,000. New windows have an ROI of 80% plus. It’s true that they are expensive, running $300 for a basic design up to $1,000 for custom designs. However, they have tremendous value in terms of either maintaining the house or increasing its value for sale. Chosen wisely, replacement windows can really improve the look of your home from the exterior and in the interior. In addition, of course, they can really save on heating bills since old windows are great leakers of energy. Remodeling your kitchen can give you an ROI of around 80%. Now, it’s true that such a remodel can be expensive; the average cost is about $17,000. However, you must remember that the condition of the kitchen is very often the deciding “sale/no sale” factor in the minds of potential buyers! So, seriously consider this remodeling project. Add new countertops, cabinets and appliances. If you have the time and skills, do much of the work yourself. Plus, of course, shop all the sales to get the lowest price on any appliances like stoves and refrigerators. Replacing a roof has an ROI from around 60% to 65%. Depending on the nature of the replacement, it can cost about $100 to replace a few asphalt shingles on up to around $100 to $350 for a 10 x 10 foot square. 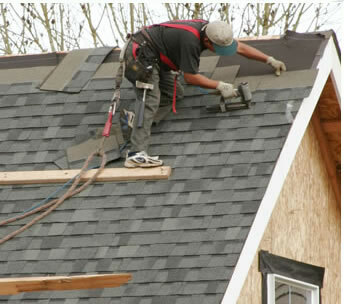 An overall re-roofing can cost anywhere from $6,000 to $14,000, depending on the size of the roof and the nature of the shingles (asphalt, wooden, etc.). Now, while roof repair or replacement doesn’t have as high an ROI as some other home improvements, it’s definitely important because buyers will back quickly away from the purchase of a home that needs roof repairs. So, put this one high on your list! The ROI on a bathroom remodel ranges up to 78-80%. The average remodel costs in the $12,000 to $13,000 range. If you go “whole hog,” costs can range up past $30,000. However, you don’t have to do all the remodeling at one time, and you may be able to make some of the changes yourself. For example, new tile or linoleum can up down for anywhere from $100 to $1,000, depending on the size of the bathroom and the materials used. 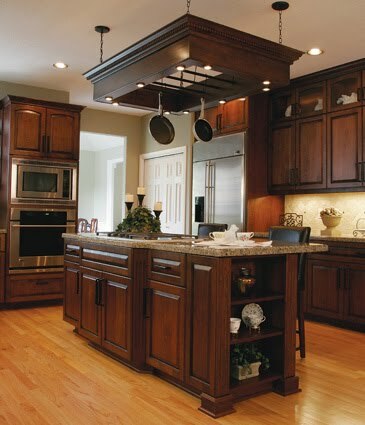 New light fixtures can also be an inexpensive do-it-yourself project. So, there you have it – a list of home improvements that will give you the best return on investment! If you’d like to discuss the ROI on other home improvements, contact me today at bill.black@cbshome.com or 402.680.2500 and I’ll give you all the information you need!